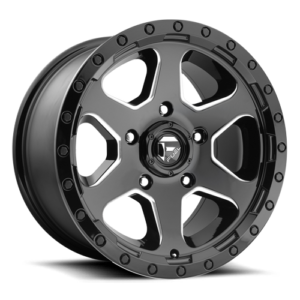 If you’re in the market for a new set of Fuel Off-Road wheels for your Truck or SUV, you’ve come to the right place. TLC Auto & Truck Center is your premier choice for all of the latest Fuel wheels, with dozens of styles to choose from, our experienced team of professionals will help you pick out the perfect set for your ride. Check our latest posts on Instagram to see more awesome Fuel Off-Road Wheels on our customer’s rides! Picking out new a set of Fuel wheels for your truck or SUV is not an easy decision, and you want to make sure you pick out the perfect option to fit your vehicle, that’s where the expert wheel and tire professionals at TLC Auto & Truck comes in. We’ve got decades of experience in wheel and tire fitment, and we’ll sit with you to discuss your options and help you choose the perfect fitment size, color finish, and the design that’s right for you. Peter and Matt are the nicest guys and honest! I have had two jobs done there. Leveling kit on my silverado with 33 inch nittos and spacers along with a new magna flow cat back exhaust. Their expertise and knowledge is great and they never try to over sell you. They give their honest opinion with no b.s. unlike some other businesses I have contacted. I cannot endorse this shop enough. If you want modifications done to your truck...these are the guys! I just had my first experience with these guys, and based on how friendly, accommodating, quick and fair-priced they are with general maintenance, I can say without a doubt that I'll be going back to them in the future. Peter was pleasant and candid from the moment he answered my first phone call to the moment I left with my car. And while my car was in the shop, TLC offered complimentary rides to and from my house. What a great experience at this shop. I've never met more honest or thorough mechanics in my life. Pete and the guys took their time to explain everything and offered options. Great job on the truck guys! Just got my Ford F150 with a 6 inch lift that I got used. It had a bad wobble in the front end and they put their heads together and fix the problem. Pete jr. And the shop did a fantastic job and made sure it was done correctly. The communication was outstanding, calling me with prices before they did the work and let me approve it first. I will continue to use them with all my vehicles and highly recommend them and there top shelf work. Thank you TLC Auto & Truck Center you have a customer for life...finally a mechanic you can trust!!!! I came out from Texas to get a truck from a dealership and needed a third party to inspect it before driving it back. I looked up repair shops in Farmingdale and saw TLC had good ratings. Understanding that the rating system can be sketchy, I decided to use them anyway and see how it went. I COULD NOT BE HAPPIER! Matt, Joe, Pete and the rest at TLC are top notch! I deal with a lot of vendors in my line of business and some can talk a good game but fail to deliver (the dealership I was getting the truck from for instance), but TLC is the real deal. Service could not have been better. I don't have anyone I know personally that I can refer to them, but if you are in or around the Farmingdale New York area and you need some work done to your truck, I can tell you TLC will not disappoint you! Thanks guys!! I've not found a more competent and considerate automotive repair center, truly. I recently had my front and rear brakes replaced on my Nissan Rouge at TLC Auto & Truck. I had found them online and was impressed when I saw they won Long Island Shop of the Year 2017. They lived up to the accomplishment. Not only did they do a great job but they had it back to me the next day. Everyone I dealt with was incredible nice and helpful. I would recommend using they for any of you auto needs, I will be returning! Never dealt with more honest guy... Pete you made a Customer for Life! My mustang never ran so good thanks for all the help and advice! Want More Information About Fuel Wheels? Fill out the form below and one of our team members will get back to you shortly to help you pick out the perfect set!